What is Filorga Art Filler Lips? 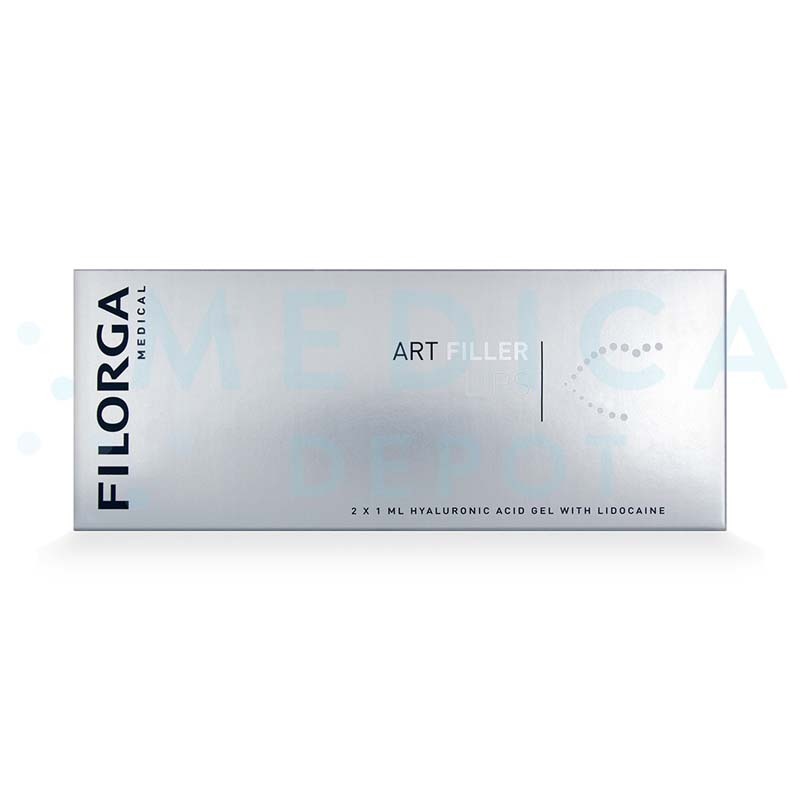 Filorga Art Filler Lips is a cosmetic filler made with hyaluronic acid, with the anesthetic lidocaine for pain relief. Doctors inject this filler for lip enhancement and contouring while improving tissue strength and elasticity. This is the first hyaluronic acid filler proven to boost collagen and elastin synthesis for lip rejuvenation. 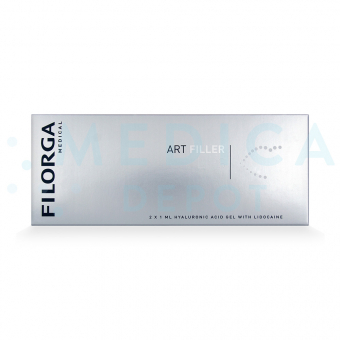 You can buy Filorga Art Filler Lips online from Medica Depot. Enjoy the convenience of ordering this and other cosmetic injectables online while benefiting from low, wholesale prices on orders from 1 to 100. Buy this and other genuine brand-name cosmetic fillers online, by phone, or by fax. In 1 package, you will receive 2 prefilled syringes of hyaluronic acid gel, 4-27 G½" needles, 4 traceability labels, and 1 product leaflet. What are the benefits of this lip filler? 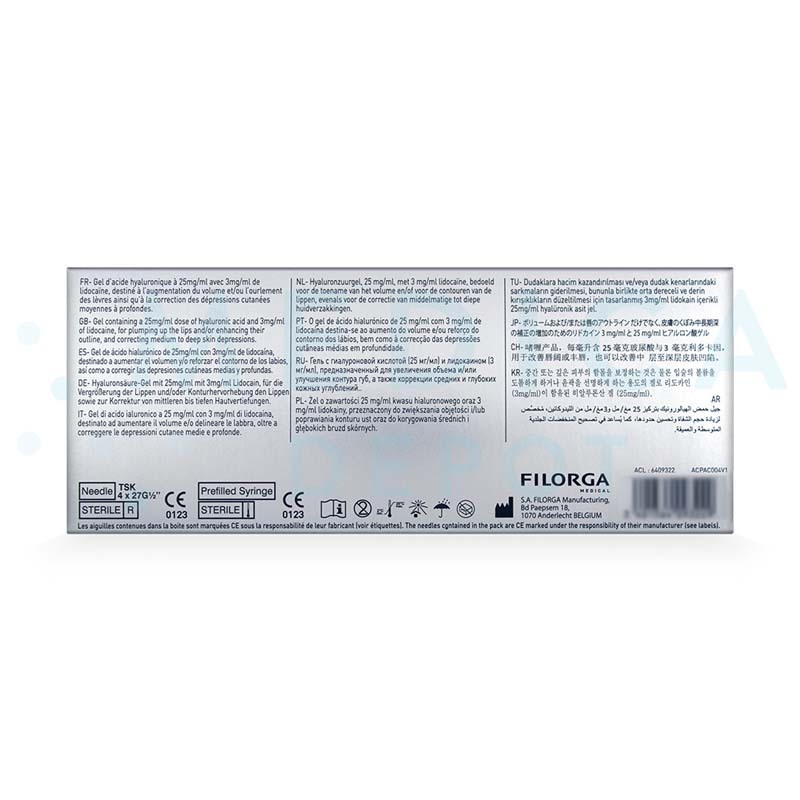 Genuine, brand-name cosmetic filler from Laboratoires Filorga, a French manufacturer known worldwide for their quality cosmetic products. 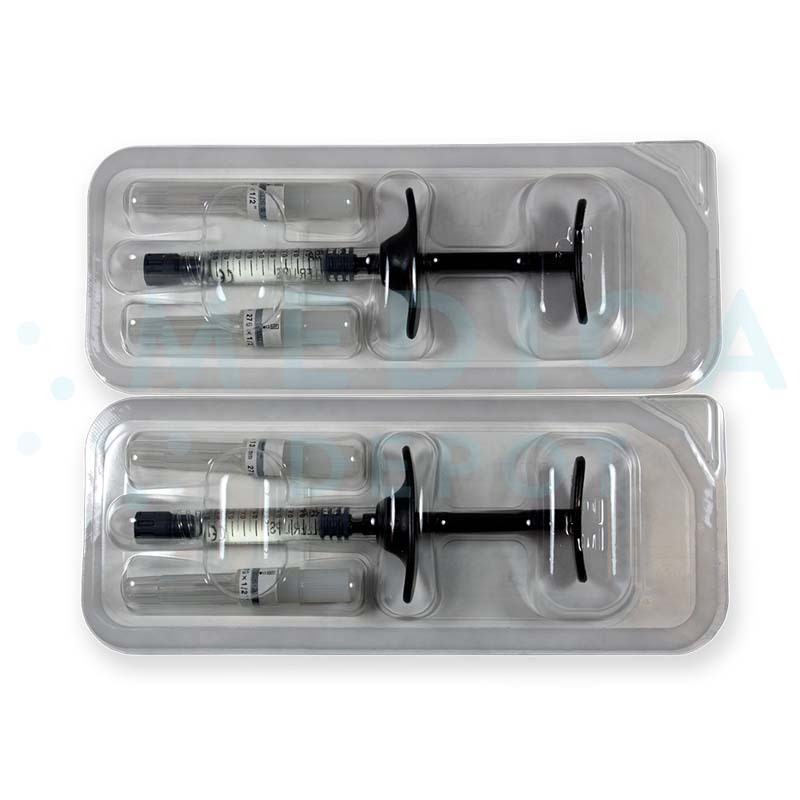 Contains Lidocaine anesthetic to reduce needle pain during treatment. Boosts synthesis of collagen and elastin fibers for greater tissue strength and elasticity. Lasts about 18 months after 1 additional touch-up treatment. How does Filorga Art Filler Lips work? This injectable gel is made of hyaluronic acid, created with Tri-Hyal Technology. The highly moldable gel integrates well into tissue for more natural-looking results. Once you inject the hyaluronic acid into your patient's lip mucosa, the particles retain moisture, restoring hydration and volume. This volume helps create larger lips and adjusts their shape to a more desirable contour. In addition to hydrating lips and adding volume, hyaluronic acid helps stimulate collagen and elastin synthesis, helping strengthen tissue and improve elasticity. The lidocaine in this injectable acts as an anesthetic, reducing needle pain for a more comfortable treatment experience. What are the ingredients in Filorga Art Filler Lips? This lip filler contains hyaluronic acid and lidocaine anesthetic. Of the Art Fillers, this particular formula is meant specifically for use in the lips, while the others are meant for use in other areas of the face. The Art Fillers differ from the NCTF products in that they contain hyaluronic acid to add significant volume while the NCTF products do not add large amounts of volume but do contain vitamins, minerals, and other ingredients for skin rejuvenation. Inject this hyaluronic acid gel into the mucous membrane of the lips using a 27G needle, following proper aseptic techniques. After the injection, gently massage the treated area to ensure the hyaluronic acid molds to the correct shape and integrates with the lip tissue. When should I use this lip filler? Use to enhance the shape and size of thinning or undefined lips. This treatment involves an initial treatment and a touch-up treatment at 9 months, the results can last about 18 months. This filler is meant specifically for use in the lips to create volume and adjust shape. However, you can also use this dermal filler to smooth the look of medium to deep facial wrinkles. Who is an ideal candidate for Filorga Art Filler Lips treatments? The ideal candidate for these treatments is a patient who has lost lip volume due to aging, who wants to adjust their lip shape, or who wants to enhance their lips. The filler can help add volume to lips for a more plump and contoured appearance. Why should I purchase Filorga Art Filler Lips? Purchase this lip filler to help your patients restore or enhance their lip size or shape. 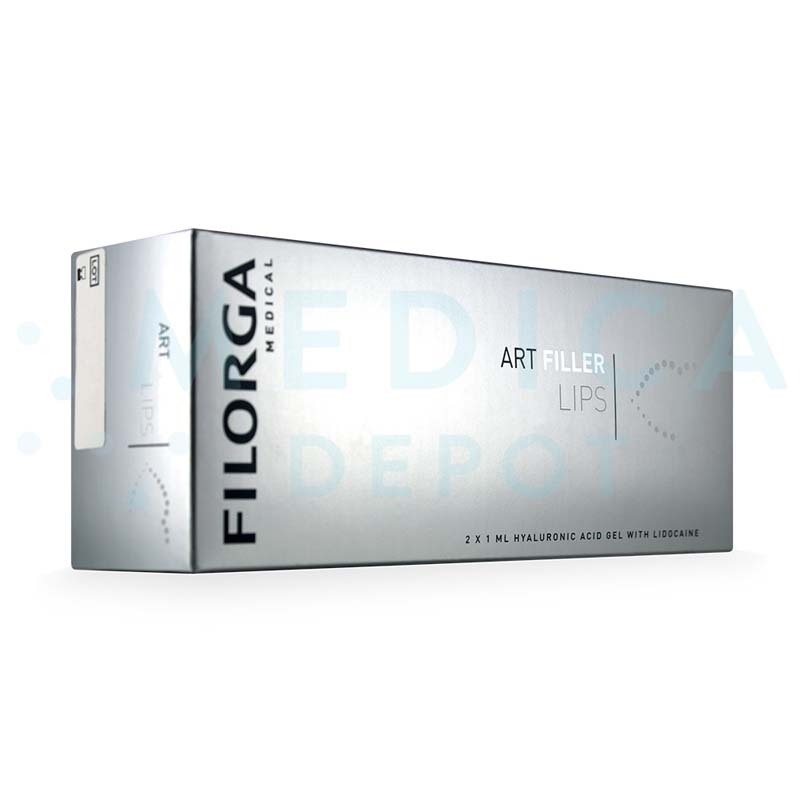 Art Filler Lips is made by Laboratoires Filorga, a European manufacturer trusted around the world for the quality of its cosmetic products, so you and your patients know you can count on this cosmetic filler to provide quality results. With the inclusion of lidocaine in its formula, this filler reduces pain for more comfortable treatments, and the syringe's ergonomic finger grip is more comfortable for you to use. Most of all, by purchasing Filorga Art Filler Lips from Medica Depot, you save money with low wholesale prices. What are Filorga ART Filler Lips' side effects? Side effects usually last up to a week. These may not be all the possible side effects.